The Andhra Pradesh Engineering Common Entrance Test 2018 (AP ECET) Hall tickets /Admit Cards have been released by Jawaharlal Nehru Technological University (JNTU) Anantapur at official website at sche.ap.gov.in. Candidates who have registered Applying for the above mentioned test can visit the official website now to download the same. JNTU is all set to conduct the examination on May 3rd 2018 from 10:00 AM to 01:00 PM. It is important for the candidates to Download their Hall Tickets/Admit cards along with them to the examination centre to appear for the examination. JNTUA, by virtue of the quality of its academic programmes, has consistently been ranked amongst the leading technical Universities in the country. The University has initiated many schemes to assure quality education to the students, career development of faculty members, progression of students towards higher education and generating career opportunities through the campus placement programmes in reputed organizations across the globe. The University is working dedicatedly towards the vision of producing quality technical graduates, competent teachers, scientists and leaders in the academics, research, industry and administration. On behalf of APSCHE, JNTUA has successfully conducted APECET 2015, APECET 2016 and APECET 2017. For APECET 2018, the Chairman is Prof. S.Srinivas Kumar , the Vice-Chancellor of JNTUA and the Convener is Prof. P.R.Bhanu Murthy,Professor of Civil Engineering. Mentioned below are the steps that candidates can follow to download the admit cards along with details are given below link. 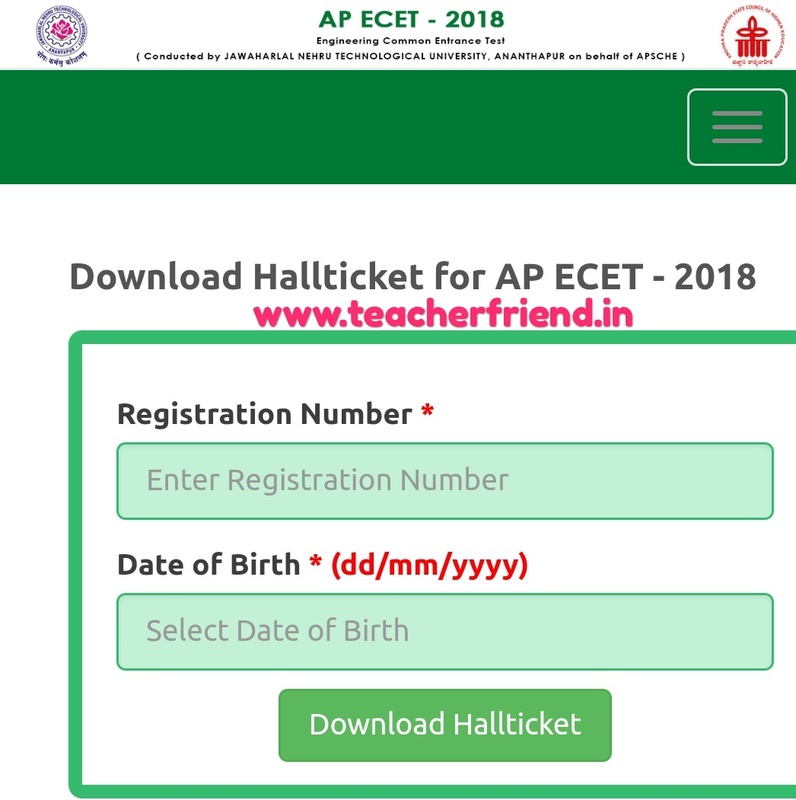 Get Download Admit Card Click Here.